HSBC has partnered with Querlo and was launched on Partners - Wall Street Journal website a week ago. 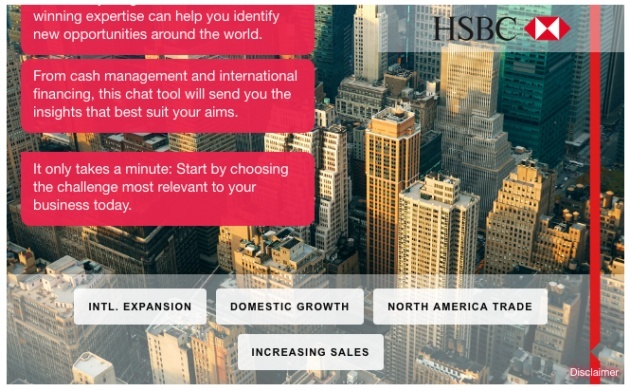 The chatbot includes surveys for real data about HSBC Accelerating Ambition program, “A New Model For Fashion Retail”. The data will help those who are looking for new growth potential as well as providing its service and technology to the world. Have you had this kind of feeling where you want to write about something but you are out of idea on what to type on or even confused where to start with? This is what I am feeling right now because this morning, when I logged into bitLanders, I read on the blog post just recently published by Micky-the-Slanted-Salerno about blogging on a topic about Querlo and its partnership with HSBC Accelerating Ambition "A New Model For Fashion Retail". This is just another means of getting a higher buzz reward and although I am out of idea about the topic, I am challenging myself to blog about it. This is exactly interesting because first, I will be starting a blog base on research which I have done before but it is still better to be knowledgeable about the topic than just be writing and adding flowery words and second, I don't know what to expect in terms of word count and blog review results so I don't know but I have to continue writing this blog. Aside from that I am also caught between writing my backlogs from the previous trips and travels we had, I still have a lot of clips and videos to be compiled and edited and I am running out of time since we still have other places to visit this week and the next weekend. I don't know if I can make everything. Another addition to that is the Querlo video making contest set up by no other than Micky and I badly want to participate on that but I also have no time to make that just yet but surely I will create a film for Querlo before the deadline. Let's see, where/ what/ which part should we start? Guess the best way to get started is to introduce both parties. Since it is between Querlo and HSBC Accelerating Ambition "A New Model For Fashion Retail", let me split this two first and identify them one by one. The interactive had given each bitLanders user and even those who are not part of the site a fun way of doing surveys. More and more other external brands are also partnering with Querlo to help them with their data collection which will improve their approach on businesses. On bitLanders itself, it is one way of enjoying a survey plus it gives away bitMiles Loyalty points too! It's like hitting two birds with one stone! Additional buzz scores are also gained by those who are actively participating in the double rewards or higher rewards scoring blogs and videos. Currently, any blog which will talk about Querlo or even with a Querlo chat bot embedded on the blogpost will be given plus buzz points. This is definitely helpful to those who are aiming to earn higher number of buzz scores which is by the way directly proportional to our earnings. Querlo, an innovative chat bot made by MTI USA Inc. is giving the company and bitLanders as well a good platform to be felt in by the internet. Clearly, MTI is doing its best to be creating and creating more innovation which meet the needs of the businesses over the globe. Aside from that, being able to embed these chat bots are really useful for bloggers and other businesses who have online resources. Querlo, a chat bot with a human touch, a brand new technology that allows data to be collected in an interactive way, can greatly impact the dynamic of your average user. One of Querlo’s primary functions, for example, is to create a dialogue that helps identify the user in a more wholesome manner then a traditional surveys do. This format is similar to any chat one might engage in on social media, and it increases the amount of collected data by 400%. Depending on questions asked reader’s age, gender, hobbies, interests, politics, and so much more can be understood. Bloggers, one of the countless professionals Querlo can help, can gain an understanding of who their audience is, and increase web traffic and users time on their website." It has been referred to as the Chatbot with a human touch because of how interactive it is. It is very easy to create and that it is pretty straightforward when generating one. I had personally created one survey by my own through the Querlo online tool which makes use of flowcharts. Through Querlo, real time data are being captured and that it allows interaction between Querlo and the person in front of the screen making it look like fun when answering surveys. Querlo: Where Surveys are Fun! HSBC Accelerating Ambition "A New Model For Fashion Retail"
Now for HSBC, we all know that this is a bank brand, a British multinational banking and financial services holding company headquartered in London, United Kingdom. It is also the world's seventh largest bank by total assets with over 4,000 offices in 70 countries around the globe. 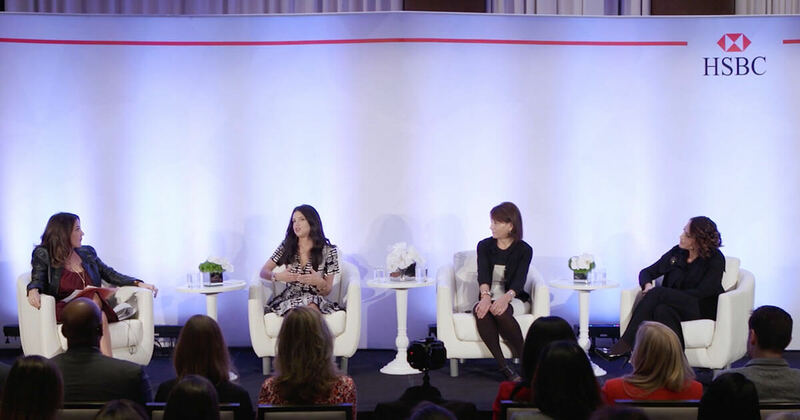 With HSBC Accelerating Ambition program, it can help anyone identify new opportunities around the world specifically in terms of fashion retail. Fashion has been around the world, it was present even before I was born and my grand grand parents were born. That is why the fashion business will stay in this earth for as long as there are men and women who are interested into it. But the question would be on how to meet the consumer's needs. HSBC then understands the importance of strategizing to meet consumer needs. Half the battle is having the knowledge to inform strategy. "This HSBC Accelerating Ambition program offers cutting-edge insights aimed at helping global companies expand into foreign markets, gain new customers and grow their revenue." With the use of the outnet.com which is expanding in a pretty fast pace globally, it's redefining how women find deals on designer fashions. HSBC has provided guidance to the OUTNET on expanding into new markets, leveraging the knowledge of our retail & apparel specialists. THE OUTNET now ships to over 170 countries worldwide. Outnet.net is carrying over 350 designer brands, online shopping is never as comfortable as today with the best eCommerce sites where women are able to choose from these brands from the comfort of their homes. Selecting any of these options will dig deeper and provide expanded information and it is also citing informative resources which will definitely help out for those businesses based in the US and beyond. 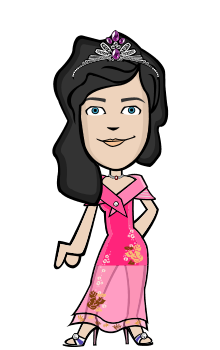 Wow,, its completely changed now ate... isn't it??? ?